You can add live embeds of your public Figma files to JIRA issues. To do this, first install the Figma JIRA add-on. Then copy the Figma URL of any public Figma document and paste it on a JIRA issue page. A preview will appear. It's that easy! Read on for how to install the add-on, how to use it, and some details on permissions. 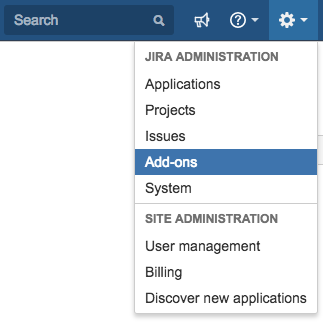 To install the add-on, open the settings dropdown in JIRA and choose Add-ons. Once on the Add-ons page, search for Figma for JIRA in the marketplace search box and click Install. After installing the add-on, all JIRA issues will have a new section called Designs. Simply paste the URL to apublicFigma file into the input box and click Add Design. You'll see an embed of the Figma file appear inline. You can also share embed a live preview of a specific frame, instead of a preview to the entire file. Open the file and click the Share button in the top right corner of the toolbar. You should see a window like the one below. Make sure it reads, Anyone with the link can view or Anyone with the link can edit. Check out our blog for more about our integration with JIRA. If you're interested in embedding your Figma files in Confluence, check out this blog post by Ben Kopf at ADP. Read more about Permissions and be sure to check out our video on Sharing Files.